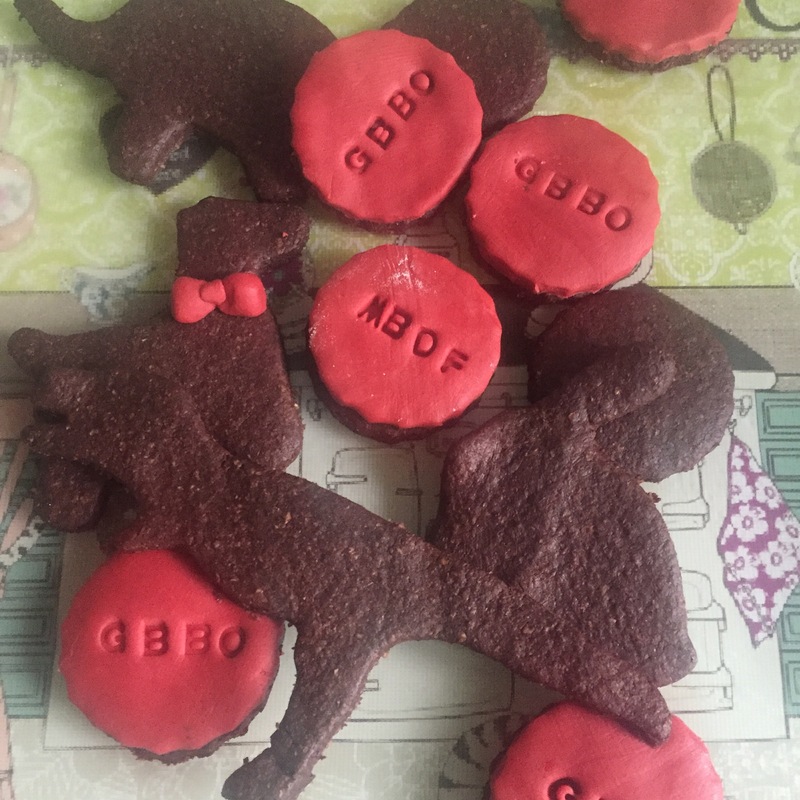 I made my dairy free chocolate biscuits and you can find the original recipe here. These biscuits are ace as they use only a few ingredients and are vegan. I did use wholemeal flour this time rather than plain. Apart from a slightly different look they taste just as yummy as the originals. I did add a splash of water when mixing though as the dough was a little crumbly, so keep that in mind when making. I also used Flora Freedom this time instead of my usual Pure Sunflower Spread. I was really pleased with the result and found that it creamed together with the sugar really well. In the bake off tent they made iced biscuits for their signature bake, Viennese whirls for the technical and a gingerbread story for the showstopper. I’ve combined the iced biscuit with a ginger taste for this week’s bake. The ginger isn’t too overpowering but does add a nice heat to the biscuit. I will be honest though. I cheated with the icing. I used ready to roll icing from Tesco. Yup, Mary Berry would not be impressed!! By using this icing I could use my fondant letter stamps which is always a win! Little one isn’t really a fan of iced biscuits so I left most of them plain, choosing to use different cutters instead. We went with simple circles, a dinosaur, dog, rabbit and elephant. I really like the idea of making a gingerbread structure of sorts with little one for Christmas. 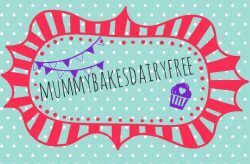 Will have to get creating an allergy friendly gingerbread recipe! 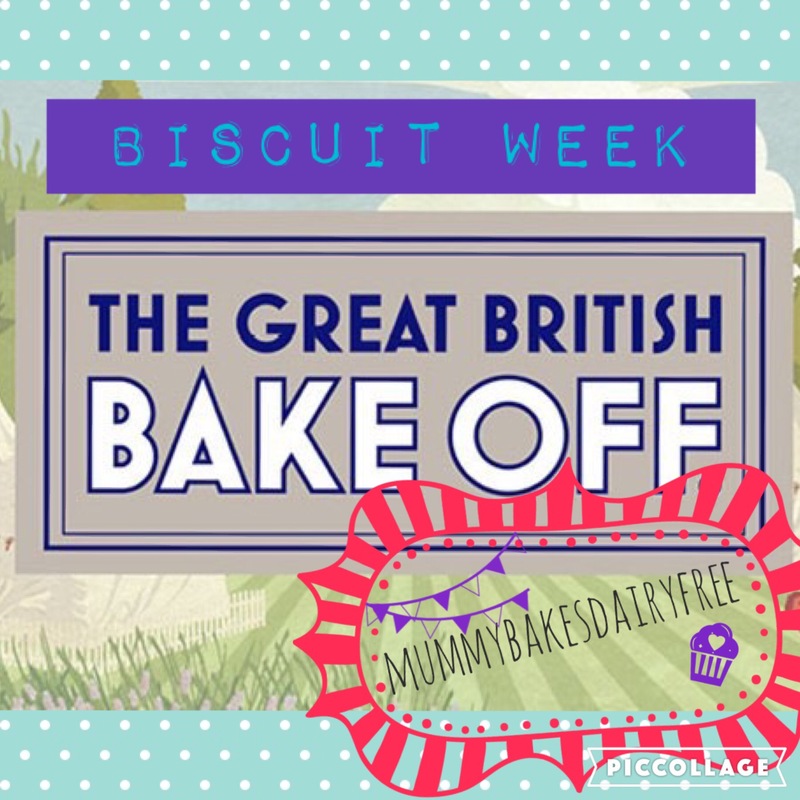 Next week is bread week, eek! I haven’t had much practice making bread so I am looking forward to the challenge!